SEO is constantly evolving, which is why it can become very difficult for business owners to do all that is needed to generate profits from their SEO efforts. Besides, there are a large number of factors that govern how certain SEO activities perform. While there are various tools, tutorials and expert advice available to help businesses perform SEO on their own, most studies show that the results yielded are significantly different from when SEO experts are hired for the job. So how can hiring professional SEO services help increase your business’ profits? One of the biggest benefits of hiring professional SEO services is you can leverage experience and expertise. Now matter how good we are at learning and adapting to changes, some things are best left to the experts. And, SEO is one of them. 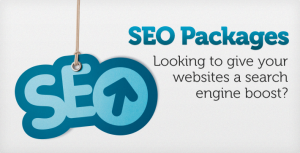 SEO experts usually bring with them large amounts of experience. Since they have worked with different kinds of businesses for years already, they are highly likely to know what strategies will work best for your business. 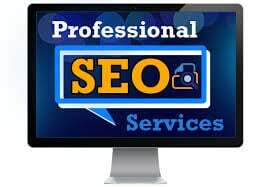 Since the KRA of an SEO service provider is to help you get more visibility, they will do all it takes to get you good rankings. Being highly experienced in this field, they are more likely to achieve better results than you or you in-house team would. With better rankings, you’re website will be visible to your target audience, thereby helping you get more footfalls and increase your conversion. Understand here that higher rankings are attained not just through submissions and backlinking, but also a range of on-page improvement activities that will help improve the user experience and therefore increase the conversion rate of visitors to buyers. SEO activities focus not just on improving your website rankings but also on various other social media platforms such as Facebook, Twitter, etc. and social bookmarking sites such as StumbleUpon, Digg, etc. This way your business is able to develop an online reputation. And, when your business is able to build a presence on the Web, more customers will trust you and buy from you, thus increasing your bottom line. Online advertising is cost-effective when compared other forms of advertising by significant levels. Moreover, the benefits of outsourcing also come into play - you save on the cost of hiring an in-house team and managers to see that they’re working well. The adage “jack of all trades, master of none” Isn't without a reason. In an effort to juggle between your business and online advertising, you might just be falling short of paying enough attention to what your business is best at doing, and eventually loosing out on profits. 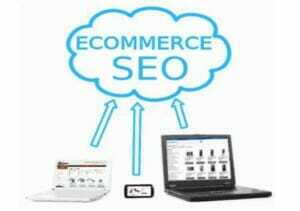 Hence, by entrusting an SEO company to manage your online marketing, you can focus on your business’ core competency. So, what benefits have you gained from hiring professional SEO services for your business? Share your experiences with us in the comments below. And, for SEO services in Los Angeles and Ventura, visit us at SeoTuners. In the past, when we needed to find a bakery, an attorney, a doctor or a restaurant, we would look up the Yellow Pages. Today however, we look up search engines such as Google, Bing, Yahoo, etc. to find what we need. Having entered what we’re looking for, we visit the links that are generated through the search, mostly those on the first page, to look for more information on their location, contact number, products or services, clients and other important information or even make reservations or appointments. What’s more, most customers find out the brick and mortar locations of businesses through their websites. So you can clearly imagine what your business is missing out on by not having a website. Eventually, it’s all affecting your margins. Besides, you’re allowing your competitor to beat you without competing at all. Hence, a website is a very important marketing tool that a business must invest in, to provide information and updates about your company, and attract new customers. Understand that the point isn't if your website needs a website or not, rather that your customers expect your business to have it. Besides, website creation is quite affordable for small businesses too. Let’s look at some benefits that businesses can expect from investing in a website. As someone offering website SEO services in Los Angeles and Ventura, we believe that having a website can help businesses reap the following benefits. Avail low-cost advertising - The Web has a much deeper and wider reach than any other advertising form. And, while it does take some time to get enough traffic to your website to be able to make your marketing campaign worthwhile, the effort costs close to nothing. Moreover, once you’ve established an online presence through a website, you can now promote it through different mediums such as PPC, social media, etc. Gain more visibility - To be able to become visible to your target audience online, you must first have a website. No matter how well known your business is in the market, in the present digital age, prospective customers prefer finding out information online first and then walk up to your brick and mortar outlet. Be accessible to your audience round the clock - By building a website for your business, you can be accessible to your prospective customers round the clock. Customers can browse through your products and company updates or buy in their convenient time. This way you can offer your customers convenience, which is the biggest lookout factor for the modern customer. We’re living in an era when we look up search engines for the most basic of queries and needs. As such, not having a website for your business is as good as good as saying - I don’t need air to breathe. So how important do you think websites are for businesses? Share your thoughts and takes with us in the comments below. And, for affordable website SEO services, visit us at SeoTuners. How To Improve Your ROI By Content Distribution? Content Distribution is the new way of designing and presenting creative content that’s tailored to the needs of a user and it’s taken the online marketing industry by storm. For those who haven't got a chance to delve into this brilliant content marketing tactic, here’s a brief. Content distribution networks are rapidly becoming powerful tools for attracting and engaging new audiences and expanding creative content’s reach. Using this method, marketers are able to offer content tuned to the user’s experience, therefore making the advertising come across as less intrusive and more of a natural discovery process, while increasing the click-through-rates (CTR). So, how can we improve ROI using content distribution mechanism? Here are 5 ways. Consider custom tracking parameters and URLs - Setting parameters for for the URLs of your landing page can help you track the ROI on your content marketing right down to specific titles or images. While platforms typically offer the option of including parameters at campaign levels it’s recommended that the parameters be used down to the title and image levels for more specific insights. Incorporate small conversations on your landing pages - Micro conversation such as following your company on social platforms or including email sign ups can be valuable in attracting leads even after the close of a campaign. Establish your goals before the launch of your campaigns - Goals will help measure the success of your content marketing campaigns as well as provide you with an insight into the areas that require improvement in your campaigns to follow. Consider using event trackers on your landing pages - Event trackers will help track those micro conversations and are, by all means, the best tool for this purpose. When assigned in different fields, one ca get a greater granulated analysis of these conversations. Set up an A/B test - Considering an A/B test for your content will help you optimize them for responses and conversions. Try testing a few different image or titles on every piece of content you’re going to promote. However, ensure setting a cap on your campaign spending; so that you don’t end up exhausting your entire budget in one go. Have you tried content distribution yet? In what ways has it benefited you? Share your experiences with us in the comments below. And, if you’re looking for a credible SEO company in LA, visit us at https://www.seotuners.com to know how we can help you. This entry was posted in Marketing on by Seo Tuners. Getting your first client is tough. And, to add to your troubles, you’ll have blogs and videos where advisers suggest endless list of things to be done to get a client to pay you for your services. Sounds off putting, isn’t it? But, it doesn’t have to be that way. Getting your first client requires no more than finding your client and communicating with him/ her. No, I’m not joking and you aren't really at fault in thinking so. As human beings, we tend to complicate the smallest of things to such an extent that we mostly rule out the fact that a lot of problems can have simple effective solutions to them. Now, without getting into further philosophical lectures, let’s take a look at the steps to getting your first client. Yes, just these two steps and you’ll have a paying client for your new setup. However, the catch lies in the way both the steps are executed and the approach taken. So, to help you understand these two steps, here’s a little brief on how you need to go about it. So, you have an affordable SEO company in Los Angeles and Ventura? Begin by finding out who your customers are exactly, and where they look for, when finding solutions to their problems. While one can always resort to getting their business listed in a popular directory or a SEO forum, it’s always best to get on to finding your specific client and then pitching your services. That way, you’ll be able to find out what their specific needs are and the best solutions you’ve got for them. Like it or not, most people out of these filtered ones will find you ugly but, you’ll have a few, or maybe one, who will be willing to pay you for your services. You’ll need to find these few people and turn them into the long-term customers. You can niche down your data on the basis of income level, interest, location, age, etc. Once you have the niche list ready, get into their minds and try to understand what they’re looking for. This can be done by simply interviewing a random few. Once you know their needs, it’s time to suggest them with solutions. Email is the most important tool for communicating here. Now you may think what’s so extraordinary about pitching to clients. It will be a mistake on your part if you underestimate your the potential of an email pitch to your prospective clients. The catch here though, is that the email needs to communicate the exact value that you wish to offer to your client and nothing more. Avoid frills and false promises and keep to the point. You should brief them about the problem that you wish to solve followed by the solution and wrap it up with the eventual gains that they’ll derive using your service. Check out useful pitch email tips suggested by Ramit Sethi. This should set the ball rolling and get you thinking on a full-scale marketing campaign that will follow. 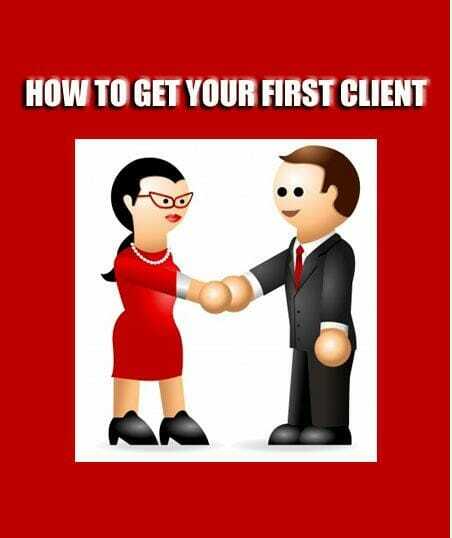 So how did you get your first client? Share your thoughts and experiences with me in the comments below. 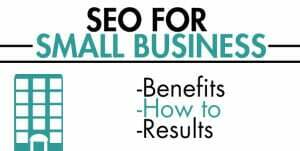 When it concerns Search Engine Optimization (SEO), small businesses can have a tough time competing with their established and significantly large competitors. Spending large sums of money in trying to mimic their marketing strategies blindly can prove to be disastrous, and far from productive. Small businesses need to consider how they can use their limited resources in the smartest way possible, and beat their larger competitors in the online forum. Here are a few suggestions. Focusing on a niche – A great way to compete with your competitors is to focus on a niche. While one may rationalize that specializing on a wide range of areas can help target more keywords, and thus gain more business, that may actually not work well. On the contrary, focusing on a niche business area will help you offer the best solutions for that particular service and therefore make your brand name the best in that category of service. This may offer you less number of keywords to target, but it will make you a specialist in a particular category. For example, if you’re into home improvement, rather than focusing on plumbing, cooling, heating, roofing, etc. focusing on only plumbing or cooling can make you a specialist in it and help you compete with your bigger competitors. Opting for long tail keywords – A common misconception among small businesses is that targeting the short, most popular keywords can help them gain the traffic that’s needed to succeed. However, the competition on these short tail keywords being immensely high, ranking on them eventually becomes tough and doesn’t get businesses much value. Instead, focusing on smaller number of long tail keywords can help small businesses rank easily and get them visibility and traffic from them faster. As a matter of fact, Google too suggests focusing on long tail keywords, rather than short ones. So essentially, the focus of small businesses should be on sacrificing more number of short keywords with less ranking potential for less number of long tail keywords with high ranking potential. Local SEO – Continuing with the same example as above, consider the following situation - is it better to be the best plumber in Houston or to be an okay plumber in US. Optimizing websites for local searches is a great way to beat competition, for small businesses. Targeting the local audience can help small businesses gain a stronghold in the local market, which can be tough when they’re trying to gather national-level eyeballs. This will also help small business edge out competition in at least one niche area. These 3 ways can help small businesses beat their larger competitors in search ranking in a big way. Having established a strong foothold in the local market, businesses can then consider expanding their horizons for increased market share. What are your suggestions for small business SEO? Share them with us in the comments below. Visit us at https://www.seotuners.com for SEO services for small businesses, and to find out how we can help you beat your competitors through our highly customized SEO services.